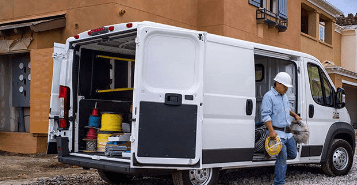 Thanks to an efficient, space-saving design, the 2018 Ram Promaster Cargo Van remains one of the top cargo van choices for business owners. Promaster’s massive cargo space and impressive powertrain options couple nicely with its refined interior design and easy-to-use technology inside the cabin. A best-in-class 36-ft turning diameter also helps improve on-the-job performance. 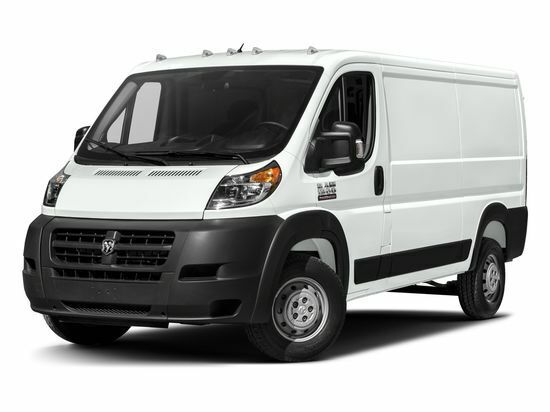 In a segment dominated by rear-wheel drive vehicles, the class-exclusive front-wheel drive (FWD) system found in the Promaster allows for better driving visibility thanks to a shorter front hood and nimble handling on tight city streets. A capable 3.5-liter V6 gas engine can generate 280 horsepower and 260 pound-feet of torque. An available rearview camera is available to help ensure you know what’s behind you before you back up. 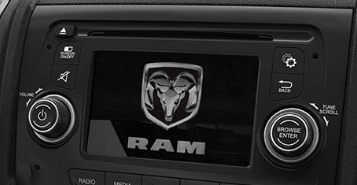 The Parkview Back Up camera displays a clear color picture on the Uconnect touchscreen display. 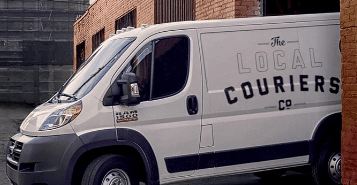 The Uconnect display allows drivers to stay connected during long trips in the Promaster. Call coworkers on demand, check current weather, get traffic updates and directions to the quickest route with the Uconnect system. Get easy access to over 460 cu ft of cargo space from the rear-door openings that rest nearly flat to the side of the van. The doors are designed to be opened in tight spaces like cities streets or back alleys.